Ultracor "Ultra High Luster" leggings with bonded metallic stars. For in-store inquiries, use sku #2537461. J Brand "Gracie" denim shorts. High-rise; belt loops. Five-pocket style. Relaxed, straight legs. 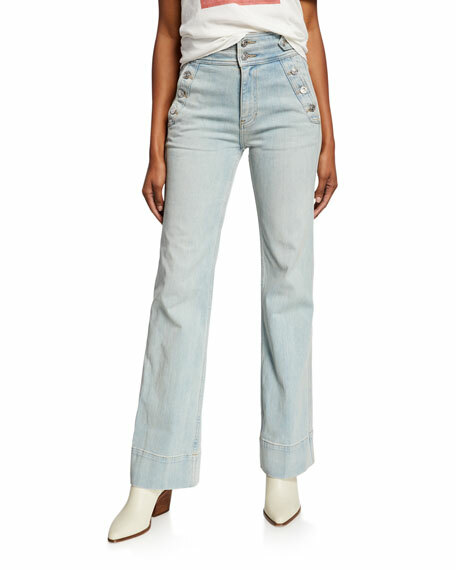 Shredded hem. Button/zip fly. Cotton. Made in USA of imported material. 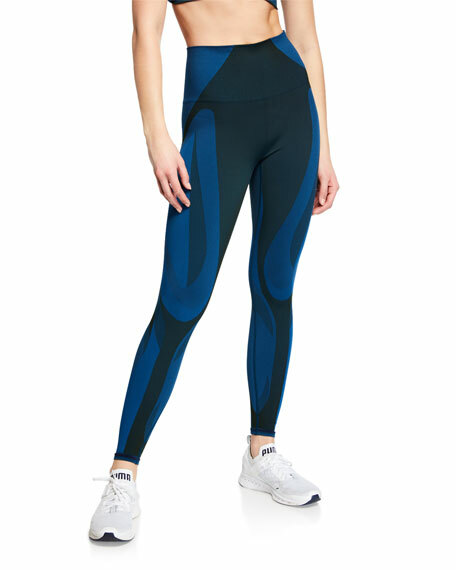 LNDR "All Seasons" leggings in high-performance fabric. Quick drying, thermal regulating, and odor control. Wide compression waistband supports lower abs. High-rise. Second-skin fit. Ankle length. Pull-on style. Nylon/polyester/spandex. Made in Portugal. PE Nation "Sky Shot" leggings in high-tension knit fabric with colorblock panels. Flatlock seams for increased strength and durability. Squat tested for zero transparency. High-rise reinforced waistband. Second-skin fit. Ankle length. Pull-on style. Polyester/spandex. Imported.